Posted on July 9, 2016 April 6, 2017 Leave a comment on Thank you for a successful DHOxSS 2016 workshop! Our friends at Wolfram Research have issued us with a set of free access codes to Wolfram Programming Lab, a very friendly, and easy to use introduction to the Wolfram Language. Your code will provide you with immediate access to Programming Lab and remain valid all the way to the end of the workshop. If you’ve already registered for our workshop, please leave a comment below with a way for me to get in touch. Once I’ve verified your registration, I’ll be able to share the code with you. Browsing and working your way through the annotated examples (‘explorations’) in the Lab will make your participation at the workshop even more enjoyable since you’ll immediately start the workshop at a higher level. This short video will show you everything you need to get started. Even if you haven’t registered for the workshop, and are uncertain about attending, it’s still worth your while to look over the site. Anyone can get free access to at least a limited selection of the Programming Lab and as such remains an excellent means for getting a taste of the Wolfram Language. Jon McLoone has worked with Wolfram Research since 1992, working on software development, system design, technical writing and strategy. He supports educational projects in cooperation with universities and government research and has lectured on Mathematica around the world. McLoone has a degree in mathematics from Durham University. He is currently Director of Technical Communication and Strategy at Wolfram Research Europe and Content Director for computerbasedmath.org, a project to redefine school maths education assuming the use of computers. Vitaliy Kaurov is a member of the Technical Communication and Strategy group at Wolfram Research. A physicist by education (ultra-cold quantum gases, non-linear dynamical systems and chaos) he conducts most of his scientific workflows, from computing to design, with Mathematica. He also publishes at the Wolfram Demonstration Project, writes for Wolfram Blog, and is a faculty member at The Wolfram Science Summer School. Vitaliy oversees the management and moderation of the Wolfram Community website. Marco Thiel is an applied mathematician at Aberdeen University with training in theoretical physics and dynamical systems. His main area of work is in mathematical modelling—the use of mathematical structures and patterns to describe many different kinds of systems in a wide array of disciplines. Some of the applications he has worked on in the past are Alzheimer’s disease, epilepsy, traffic modelling, studying the stability of our solar system, modelling the life cycle of a biological cell, population dynamics, financial and forensic mathematics, voting patterns, movement of newborns, climate modelling, and patterns in the mating behaviour of fireflies. Marco is a certified instructor for the Wolfram Language and an active member of the Wolfram Community. Martin Hadley is a visualization and data scientist evangelist in IT Services at the University of Oxford where he promotes the use of interactive technologies for education and sharing knowledge. Previously he worked as a technical consultant in industry, creating bespoke technical/programming training courses, training staff and designing custom user interfaces. 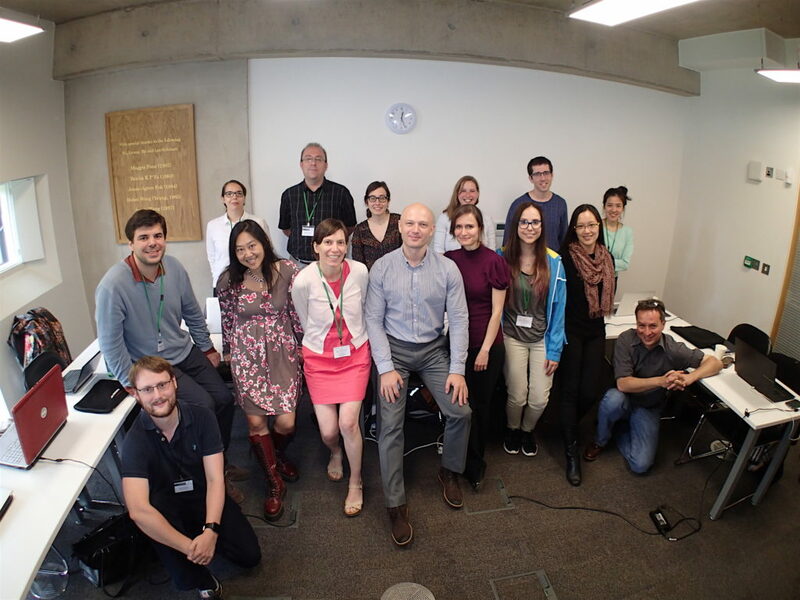 At Wolfram Research Europe, Martin trained academics in the use of the Wolfram Language for exploring, solving and visualising their research problems and delivered technical presentations on a wide range of subjects from biophysics to image processing and machine learning. Arno Bosse is the digital project manager for the ‘Cultures of Knowledge‘ research project on early modern correspondences at the University of Oxford and its flagship union catalogue, ‘Early Modern Letters Online‘. Previously, he worked as Director of Humanities Computing at the University of Chicago where he contributed to a large number of digital humanities projects and in the R&D department of the Göttingen State and University Library where he worked on European digital infrastructure projects. Arno is an active member of the digital humanities community and a participant in the ISCH COST Action ‘Reassembling the Republic of Letters’.